I've been doing a lot of cutting and sewing this week, as I've had no markets since Saturday. You should see the piles of things ready to be pinned and sewn (no, actually, you shouldn't, and I won't show you, it's too messy!). It's also been a week to do some cleaning, errands, and planning for the coming school year. 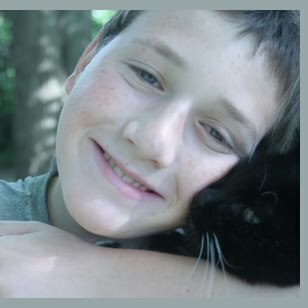 This morning I was out photographing some of the things I've finished this week, and the Boy came out with cat in arms. 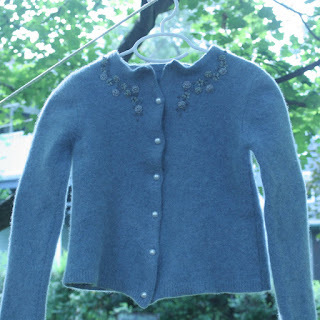 Every once in a while a sweater felts up so lovely that there's very little I need to do to it. This one just needed me to felt and block it, and add pearl buttons. It'll fit a 6 to 8 year old, I think. 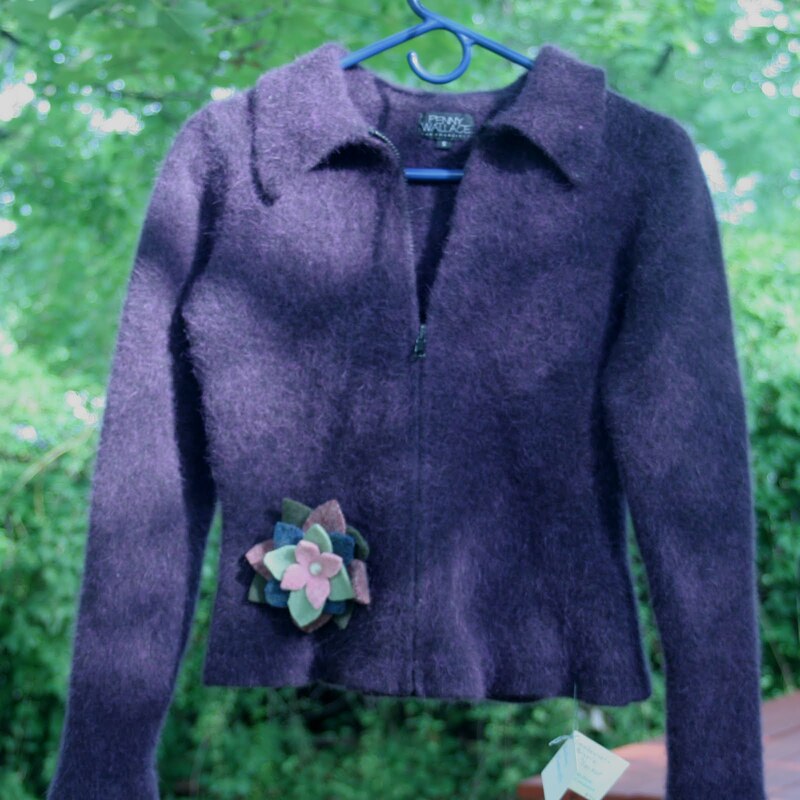 Here's another one that just needed to be felted, then brushed and embellished to be perfect. It's a really lofty angora and felted up nice and thick. I added the flower and it's ready to go. 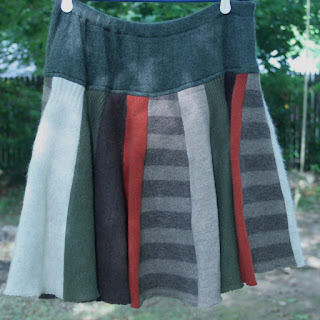 Here's one of the skirts I've been working on. 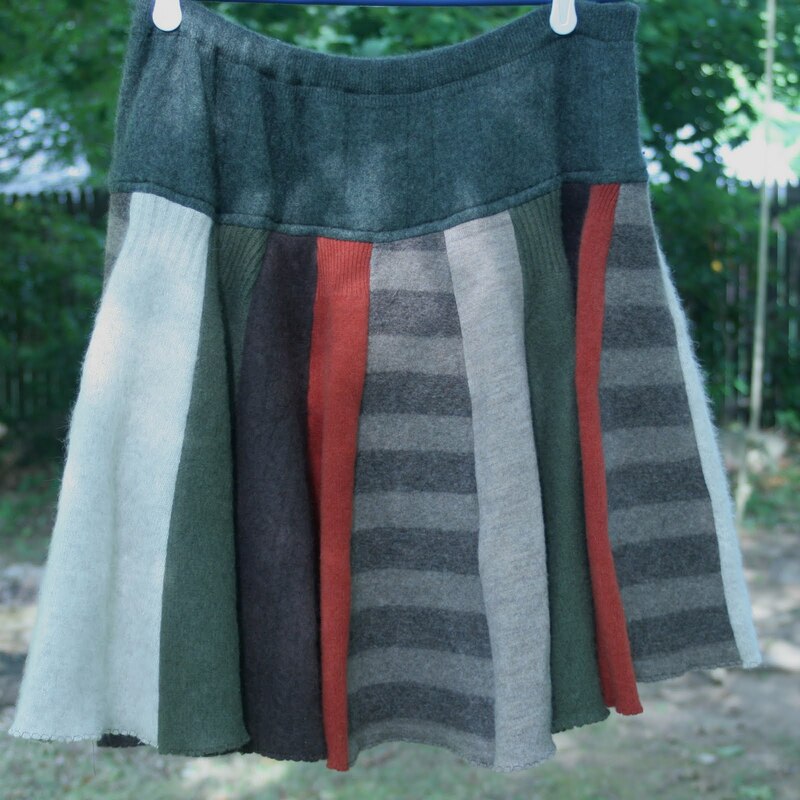 I spent 2 days cutting sweaters into skirt panels, and I have 2 more adult skirts and more than that of kid skirts ready to be sewn. 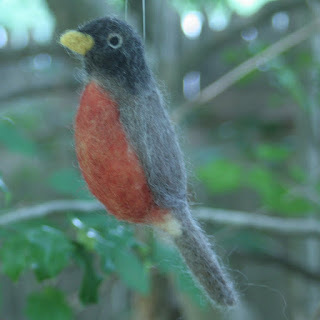 I've been doing as much needle felting as I can, too. I have a couple of cardinals done, some bees, and this robin. I've got markets tonight, Sunday and Monday, so I'm ready to go! Have a great weekend! Yeah, I think the Boy is pretty special, but, then, I am very prejudiced! : ) Thanks for loving my stuff!